It may call itself the Housecore Horror Film Festival, but with Pantera main man Phil Anselmo andmetalsucks.net writer Corey Mitchell at the helm, they were also promising a superheavy metal lineup, Oct. 24-27. Today, they delivered with a vengeance. First, the big headliners. We already knew that Anselmo would be bringing his stoner crew Down to town, and that Austin gets the eagerly awaited first U.S. date of Italian horror soundtrack masters Goblin. Now everyone’s favorite Grammy-nominated freakazoidsGWAR have been announced as the Saturday headliners at Emo’s. Mitchell confirmed this week that there will be double doses of Anselmo and Goblin. Not only will the Italian chillers be performing the live soundtrack to Suspiria. They’ll also be undertaking a separate best-of performance at Emo’s. 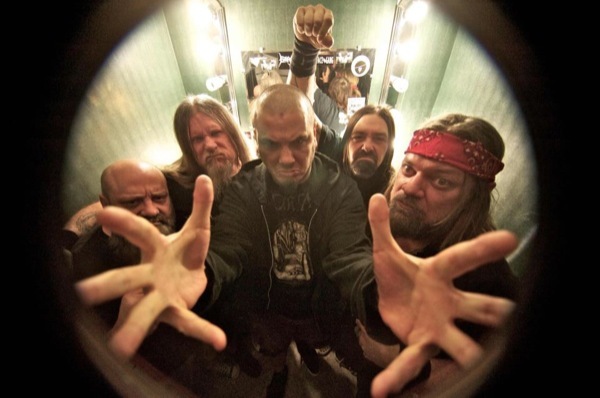 As for Anselmo, he’ll not only headline the first full night, but he’ll open for the agents of Argento with his newest project, Philip H. Anselmo & the Illegals. Quick question. Why would Anselmo put on his own festival and not be the closing band? Simple, says Mitchell. Of course, this isn’t just a music festival, and Mitchell’s keen to make sure there’s no walls between the music onstage and the on-screen mayhem. Aside from Goblin, there’s also First Jason, lead by Ari Lehman, aka the original Jason Voorhees from Friday the 13th. The melding continues on Sunday; instead of having a separate ceremony for films, the awards will be presented between bands at Emo’s. “Rather than 200 people sitting in a theater, it’s 1,600 people hearing about this indie horror that’s just terrific,” enthuses Mitchell. It’s not just pure metal, either. Not only will industrial fans get blasted by infamous AustinitesSkrew, there’ll be a rare solo DJ show from Nine Inch Nails/Pigface/Marilyn Manson/KMFDM veteran Chris Vrenna. Mixed in among the international and out-of-state imports are a heavy, heavy roar and rumble of Austin bands. South American transplants and Barge to Hell survivors HeadCrusher, Death Will Tremble (formerly Prey for Sleep), and Dirty Dog regulars/Austin Music Award winners Dead Earth Politics will be hammering through day parties at Antone’s. Meanwhile, over at Emo’s, occult metalers Ancient VVisdom and Municipal Waste side-project/punk throwback Iron Reagan will be revving the big stage. The East Riverside complex isn’t the only venue for the weekend. There’ll be a brutal soundtrack for badge registration at Dirty Dog, plus a heavy rock extension over at Buzz Mill, which will double up as a screening room. Watch for Star & Dagger, the new project from former White Zombie bassist Sean Yseult. “I saw them open up for Down last year, and they were pretty cool,” attests Mitchell. Again, the inaugural Houescore Horror Film Festival runs Oct. 25-27. Seewww.housecorehorrorfilmfestival.com for more details.